We’ve all driven by a salvage yard and auto recycling centre at some point, with their endless cars and parts stacked up. But, did you know that every car owner can benefit from salvage yards? True story. Buying used auto parts saves you a lot of coin. In fact, it can save you between 35% to 75% off retail. This is savings that you can, literally, take to the bank. Did you know that even if you crash your car to the point that your insurance company deems it a ‘write off’, that we’ll still buy it? Auto recyclers buy scrap cars based on the weight of their steel—so you can push, pull or drag it in and we’ll still put cash in your pocket. When you push, pull or drag your car on in, this keeps it from going into our landfill. And when you buy used parts this keeps those parts—and the caustic fluids they hold—from again, entering our landfills. 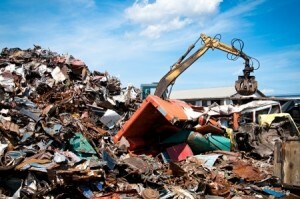 The entire salvage yards and auto recycling process keeps millions of tons of steel from filling our dump—and the millions of barrels of damaging fluids they contain. But wait—there’s more…auto recycling also prevents the refining of millions of tons of new steel every year, which saves on environmentally-unfriendly aggregate mining and processing (which includes the use of precious water and minerals). While supporting a local business by purchasing the used auto parts we sell, or from selling your car for cash may not seem like a direct benefit…supporting your community increases job opportunities for your friends and family, and fosters a strong local economy (which increases home values!). Supporting local businesses benefits you both directly, and indirectly. If money in your pocket from selling your car for scrap or from buying used parts wasn’t enough—you have more money in your pocket while supporting a local business and its local employees AND saving the environment. So, for your new auto parts purchase or to sell your scrap car—look to your local Stirling salvage yard, Woodbecks.